DrinkWire is Liquor.com’s showcase for the best articles, recipes and reviews from the web’s top writers and bloggers. In this post, The Whiskey Muse offers a spooky cocktail recipe. There’s something in the air this season. Perhaps, the transition into autumn is what’s making things hazy. Or perhaps, it’s the smoked drinks emerging on some of the best bar and restaurants’ cocktails lists this season. 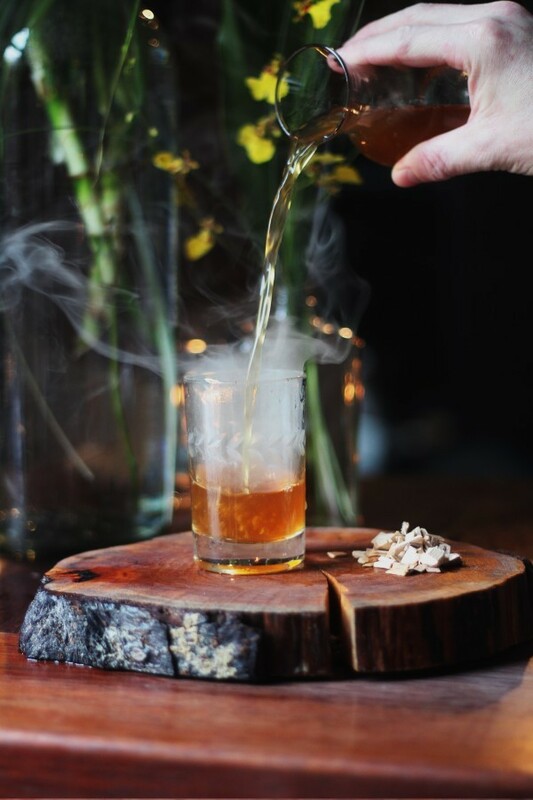 Smoke can take many forms in a cocktail including smoking the glass, introducing bitters, adding smoky spirits, and even using liquid smoke. As a bartender, I wanted to create a cocktail that was appealing throughout summer, fall and winter and thus Smoke + Mirrors was born. Smoke + Mirrors uses smoke three ways: Mezcal, Hickory Smoked glass and Smoke + Oak Bitters. Dark. Ominous. Delicious. What more could you ask for in a cocktail? Oh, perhaps one more thing: interactive. 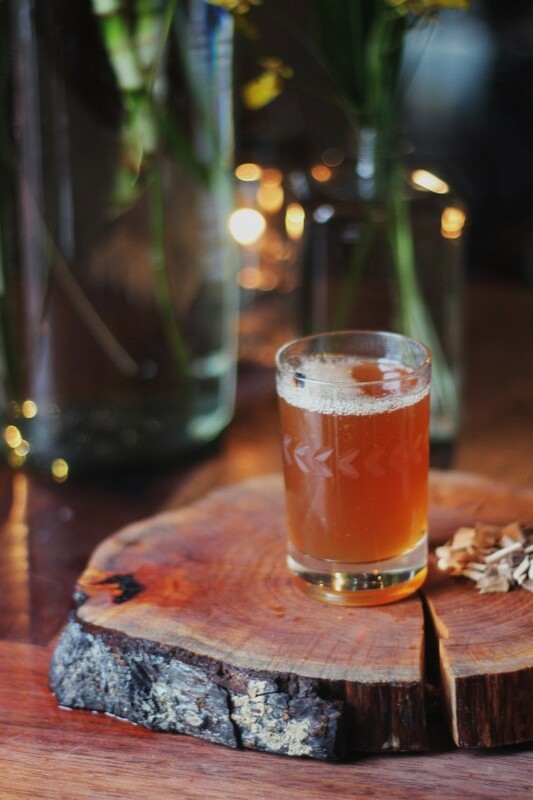 This drink is classically served table side with a smoked glass, allowing the hickory fumes emerge to delight guests. The smoke is diminished as the cocktail is poured into the glass leaving a triple-smoked tipple that is perfect for almost any season. Consider this is my 'smoke signal' to get your attention... for a drink. Smoke the glass using hickory wood chips. Stir down ingredients in a mixing glass and place into a sidecar vessel. Reveal smoke from cocktail glass table side and pour drink over smoke into the glass. *Apricot Syrup: Mix together 750 ml of Apricot Nectar, 750 ml of Simple Syrup (1:1) and 3 oz of Apricot Brandy. Keep refrigerated for up to a month.